Map of Wilmette in the 1870s. 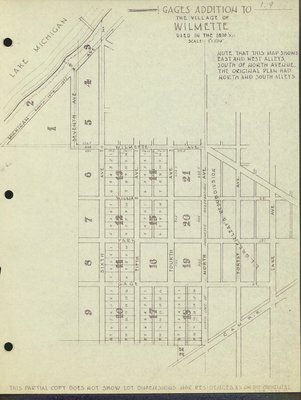 The map shows east and west alleys south of North Avenue. The original plan had north and south alleys.